These statement heeled sandals featured in a tempting and fun flamingo pink. 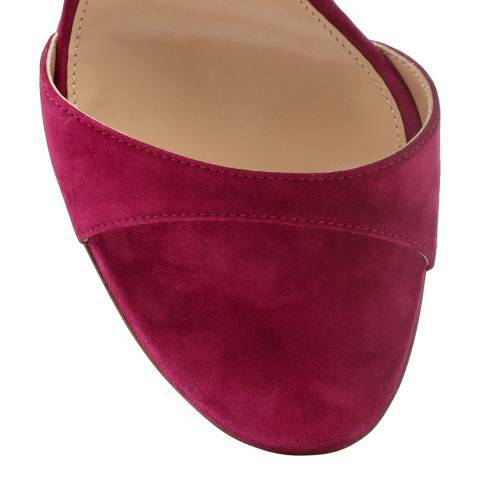 Crafted from a luxurious soft suede that enhances the elegant feminine style of these sandals. Featuring a thin ankle tie adjusted to your desire. The peep toe design is set on a towering stiletto heel. The unique silhouette, characterized for cut-outs and curved lines, elegantly frames the foot. This style will sure to a glamorous touch to any outfit.